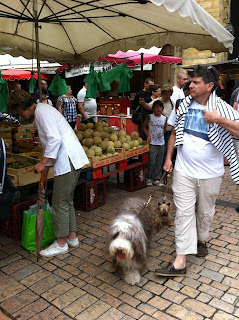 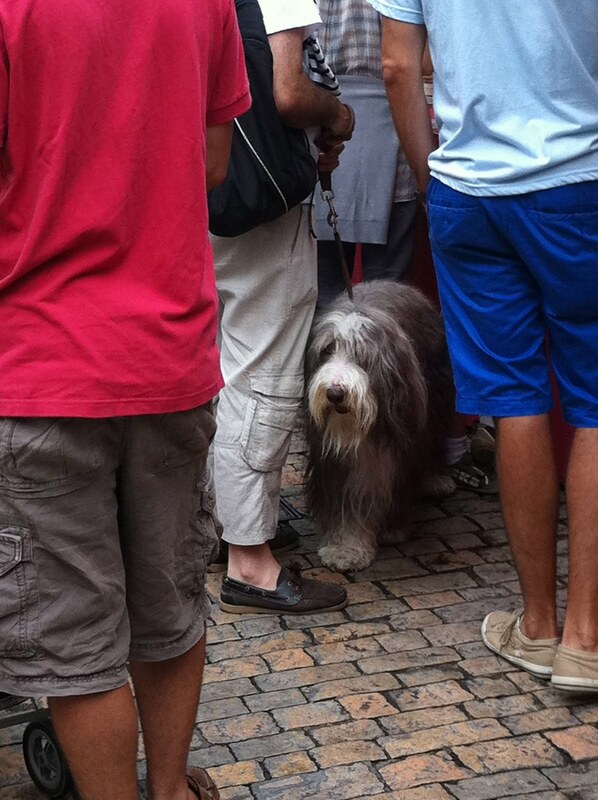 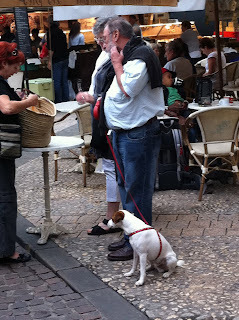 During our recent trip to France, we marveled at all the dogs. 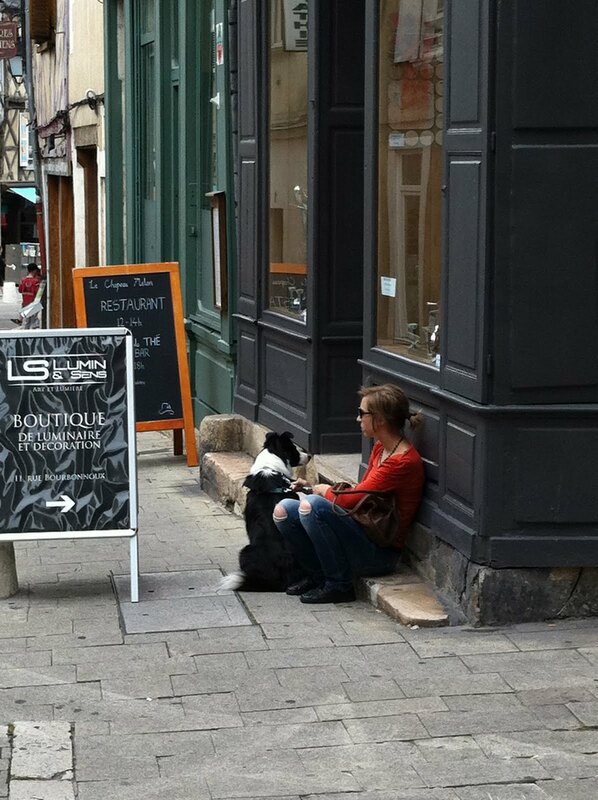 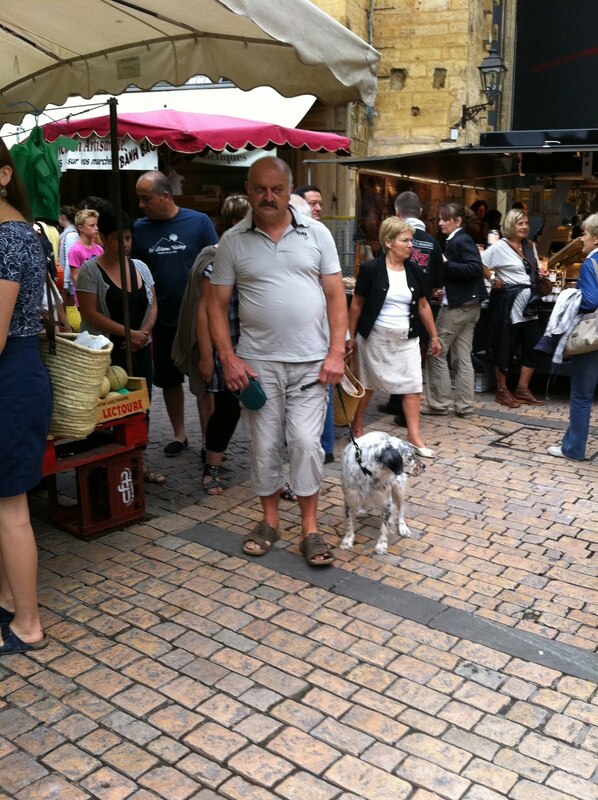 By our rough, eye-ball accounting, French people seem to really love their dogs. 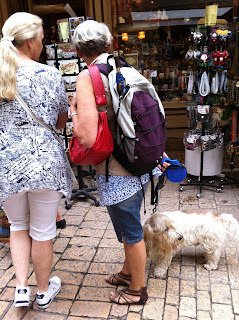 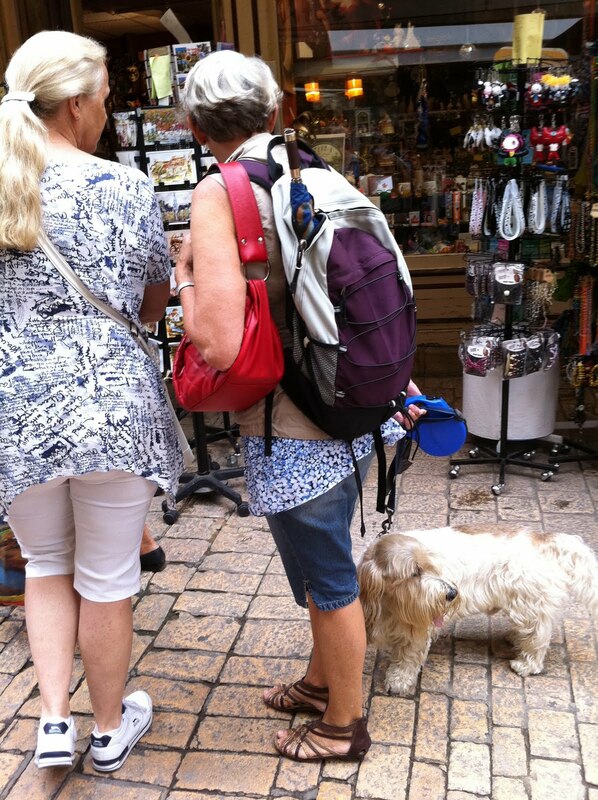 And dogs in France can and do go everywhere. Imagine our surprise and delight when we encountered dogs at the market, dogs in our accommodations and, best of all, dogs resting comfortably at their owners' feet under the tables at swish Paris bistros. Below is a round-up of some of our favorite critters. Fibi. This delightful fur ball belongs to the couple who own the B & B where we stayed in Sarlat. 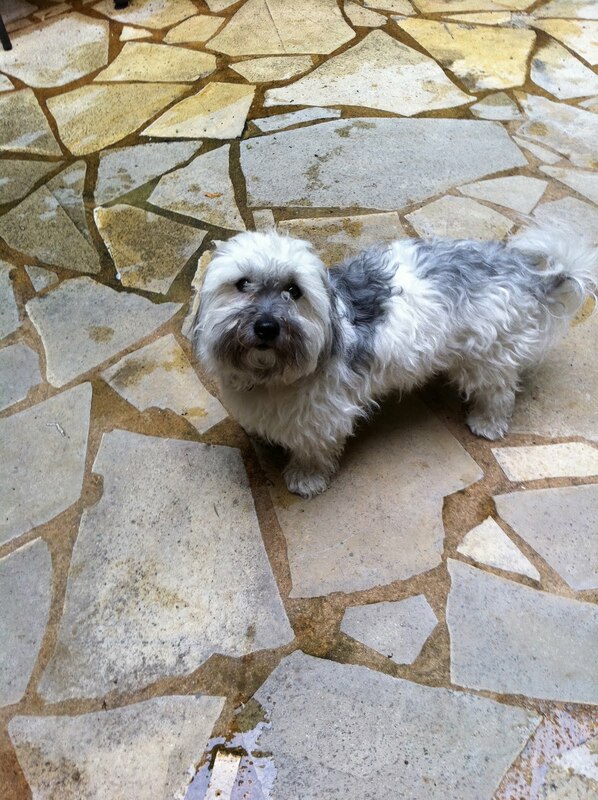 Her half-brother, Frodo, sings opera but is a bit shy. 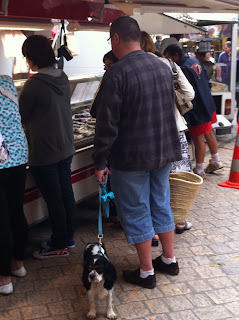 This poodle is a classic. 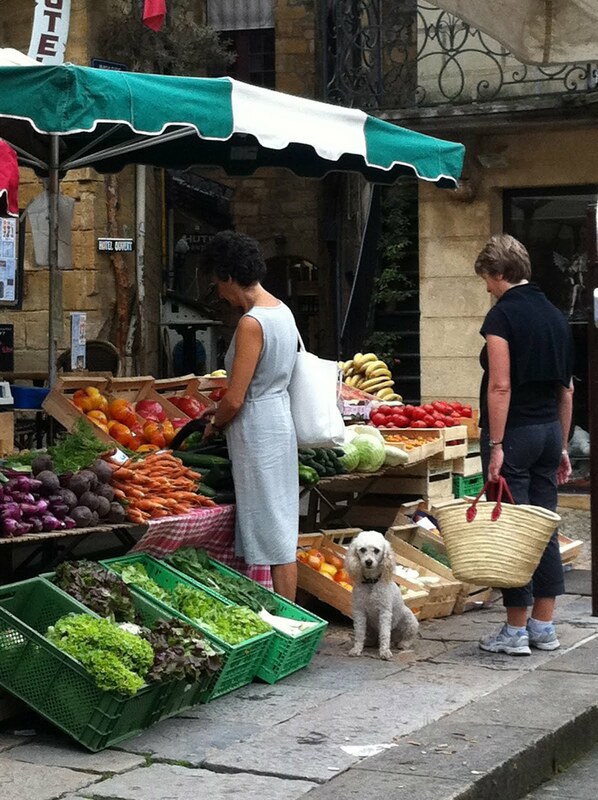 She waits patiently while her person pays for her produce at the market in Sarlat. Whoever said that dogs look like their owners is probably right. 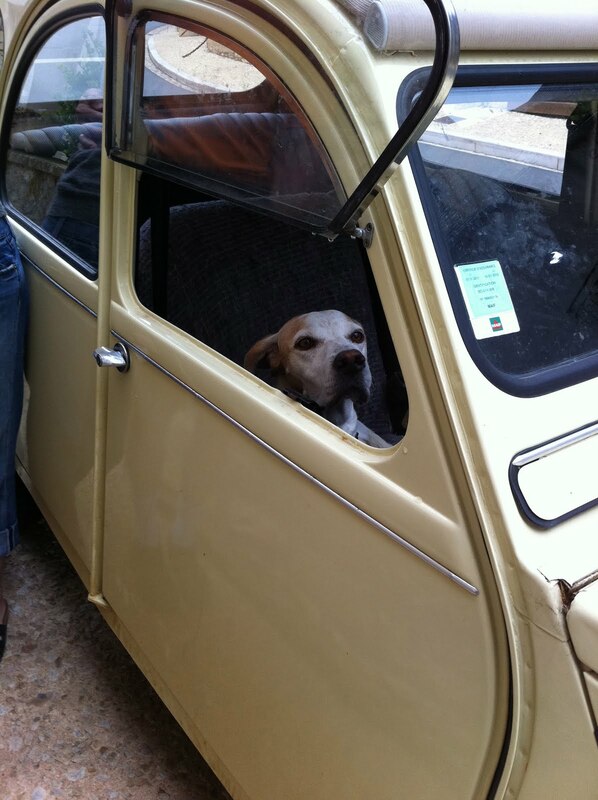 Looking stylish in a classic Citroen Deux Chevaux.